The 6th “JinPeng Award” China Original Games Selection Conference, co-hosted by XuanCaiHuDong and Huanqiu.com, was held in the Beijing National Conference Center on Jan. 10th. 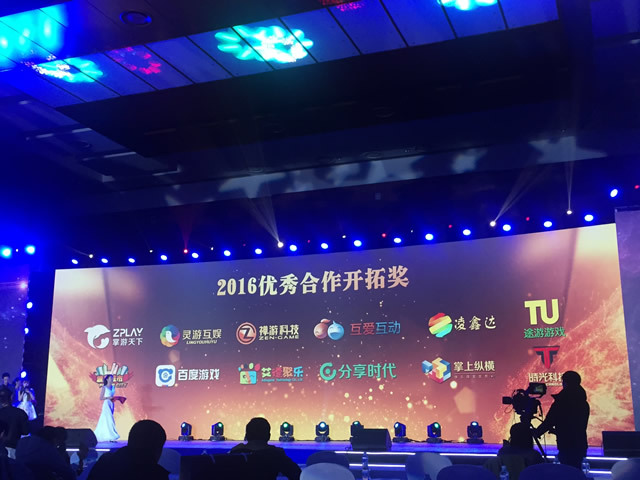 500 guests and media from different fields of the gaming industry gathered together and witnessed the 2016 China excellent original games award ceremony. ZEN-GAME was awarded the JinPeng Award of “Excellent Cooperative Developer” due to its good industry reputation and achievements accomplished in the past year. JinPeng Award was co-organized by XuanCaiHuDong and Huanqiu.com. It’s an event to evaluate China’s original games, with the aim to support China’s original gaming industry’s development, push China’s original games to enter into mainstream markets and improve the competitiveness of China’s original game products. 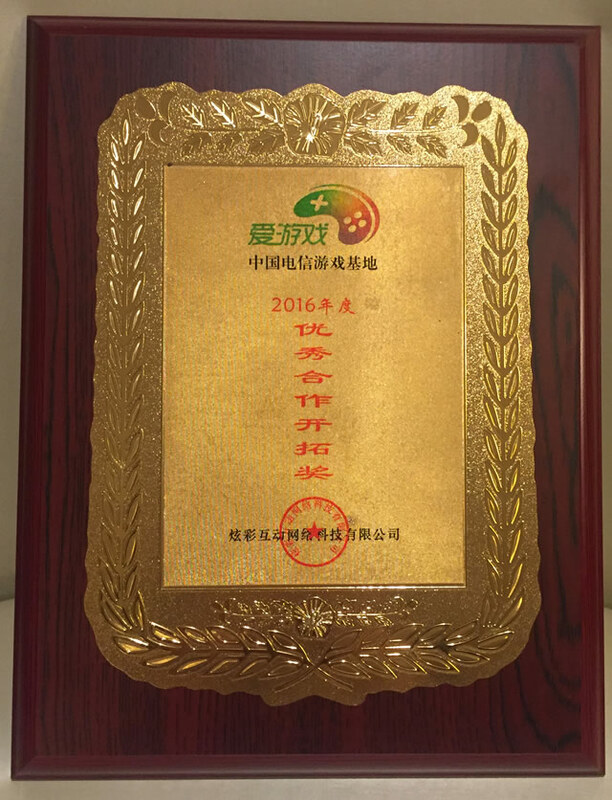 Besides, JinPeng Award was the first gaming industry awards with “original” as a core value and is one of the awards with the most authority and prestige. ZEN-GAME’s winning of “JinPeng Award” demonstrated that organizers and the gaming industry recognized its abilities and achievements durning 2016. In the future, with the mission of “focus on players’ demands, always look to generate excitement and surprise,” ZEN-GAME will continue to launch more novel and interesting games, bring more surprises to players and the whole industry and devote more energy to develop China’s gaming industry. SHENZHEN ZEN-GAME Technology Co., Ltd (ZEN-GAME) is a comprehensive service provider that focuses on building a world class recreational competitive & entertaining platform. ZEN-GAME has launched more than 40 mobile phone chess & cards games. Its registered users have exceeded 100 million. Monthly active users have surpassed 10 million. ZEN-GAME is classified as a first-class domestic mobile phone games developer and operator. ZEN-GAME’s top product Fight the Landlord Everyday(Real Players Version) was named as the competitive product by quite a few mobile phone manufacturers and channels. In the field of single device recreational games, Happy Elimination, the elaborately designed elimination game, and Quick-hand Fishing, anticipated by hundreds of fishing fans will be officially launched soon!